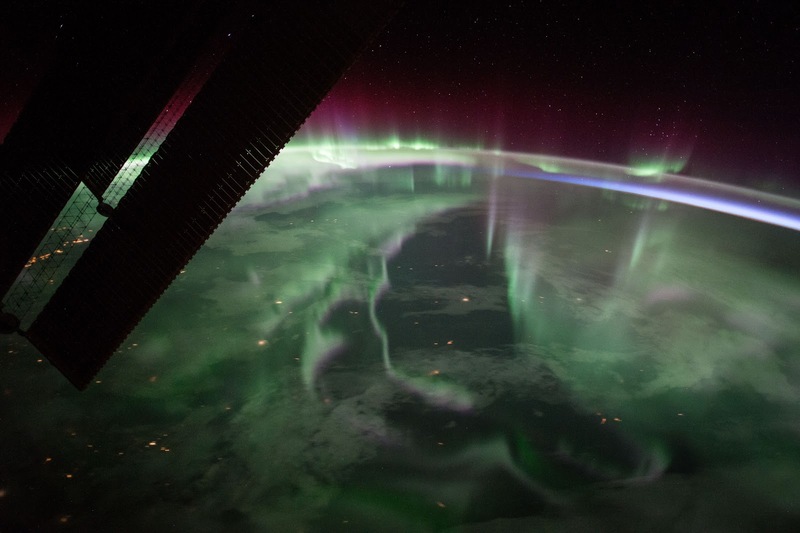 The spectacular aurora borealis, or the “northern lights,” over Canada is sighted from the International Space Station near the highest point of its orbital path. The station’s main solar arrays are seen in the left foreground. This photograph was taken by a member of the Expedition 53 crew aboard the station on Sept. 15, 2017.